Some students have ADHD impairments that are not very noticeable until they move into middle school or junior high, where they are no longer in one classroom with one teacher for most of the day. The significant increase in demands on executive functions and increased expectations for planning and self-management are two of the primary reasons for the increased academic struggles at this level. When faced daily with multiple teachers and frequent changes of classroom, these students tend to have much more difficulty than classmates in keeping track of homework assignments, due dates, and test schedules. They show up in class lacking necessary books and materials that have been left at home or in their locker. They forget to take home materials needed for homework or may complete homework assignments and then forget to bring their work to class or hand it in. Many students with ADHD are successful in school because their parents are very good at providing a scaffolding of reminders and supports to help them manage day-to-day activities. Basically parents are providing the executive functions that their child lacks. The students’ impairments may emerge only when their parents are not present to provide this intensified support, for example, when the student has to write essays in class or has long-term assignments with multiple due dates, of which the parents are not aware. When the parental scaffolding is removed or when the student moves away from home to attend college, these adolescents’ level of achievement can suddenly decline or they can experience unprecedented failure. A common misconception held by most professionals and parents is that students must behave properly before academic learning is possible. Consequently, teachers often address behavior problems first in hopes of enhancing the student’s academic performance. 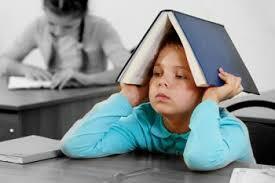 However, research on students with emotional and behavioral disorders is beginning to paint a different story. One study revealed that when academic tutoring was provided, the student’s behavior and grades improved. However, the converse was not true; grades did not improve for students who received behavioral interventions alone. This is consistent with other research that suggest that some students may act out to avoid aversive academic tasks—tasks that do not match the student’s level, either being too easy or too difficult. Tutoring to improve academic performance also had a positive effect on social skills that was comparable to psychosocial interventions, such as counseling or skills training. Clearly, interventions that focus primarily on improving learning are more likely to improve behavior than interventions that target behavior problems directly.